The combination of speed and quality has never offered clearer advantages. 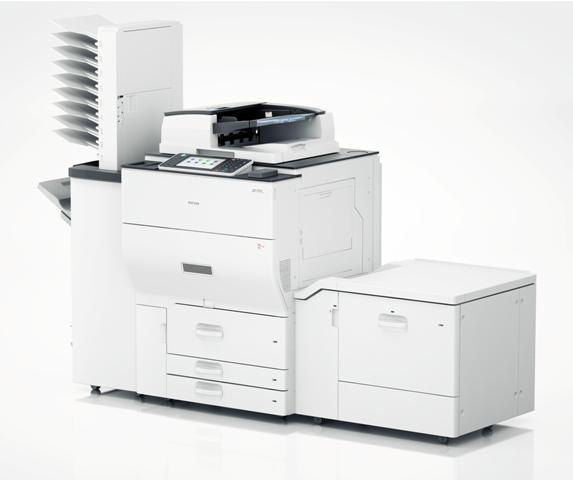 The RICOH MP C6502SP color digital MFP uses cutting-edge laser technology to produce fast, exceptional color output suitable for high -volume office users, small design firms, and print rooms. Designed to save power, paper operating costs, this innovative MFP offers intuitive end-to-end control to improve workflow for everyday tasks. Take advantage of outstanding image quality, enhanced paper handling and robust finishing by keeping more jobs in house. 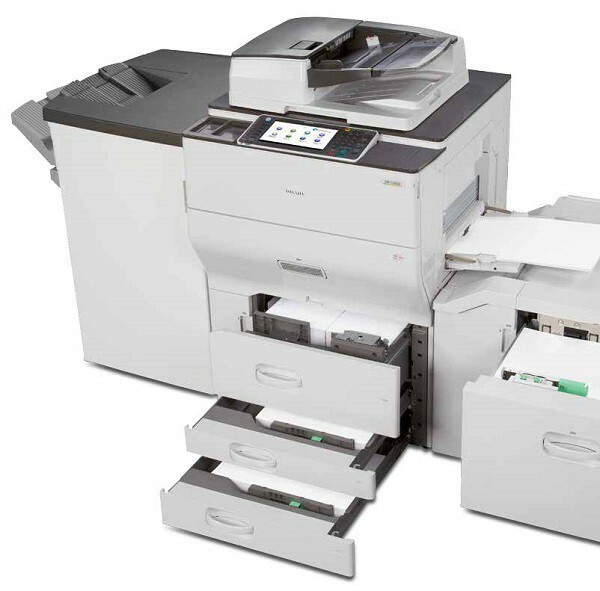 The Ricoh Aficio MPC6502SP effortlessly accelerates your workflow and improves productivity. 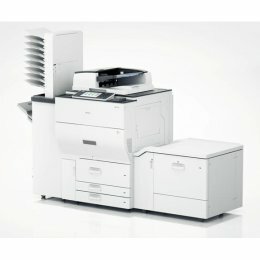 Fast copy/print speed of 65 ppm for both color and black and white. Enjoy the flexibility of printing/copying on paper sizes from A6 all the way to SRA3 on paper weighted from 52 to 300gsm. High impact color printing with 1200 x 4800 dpi resolution. Easy to use and personalise with Ricoh’s innovative GWNX touch panel with animated user guides and document preview. Standard 220 sheet single-pass duplex document feeder. Choice of 4 Finishers including Booklet Finisher for booklets up to 80 pages. Copiers are an important investment for your business. Take the time to ask advice from a copier expert. The number of trays a copier has to hold paper inside and the amount of paper each tray can hold is referred to as "the paper capacity". "Consumables" are the supplies which a copier needs to function, such as, paper, toner, ink and developer.